Trendy Flower Earrings in Green are the earrings of today! I used green Lucite flower beads for the focal, which are wire wrapped to a link from some old chain. The accent beads are also Lucite of purple with an antique brass bead cap and olive green fire-polish crystal. Everything except for the Lucite beads are made from my stash (gotta love the stash). Day 80 and another pair of earrings, Trendy Flower Earrings in Gold. As I mentioned before I have been flower crazed and these are an result of this ficition. It's funny when beads are purchase (at least this happens for me) I either have specific plans and/or no plans for the beads. But months sometimes years later beads and findings just come together and create a wonderful bracelet, an elegant necklace or a lovely pair of earrings like these. I'm a little behind in posting not making earrings. Since the update for the Internet Explorer took place everything has been on pause. For the first two days I could not get on the Internet and some of my accounts didn't work Blogger being one of them but the good people of Google have solved that dilemma for now! Anyway this pair of earrings a day adventure started on Sunday, October 9, 2011. Its actually 84 days to the end of the year but my goal is 90 pair. I have been on the flower kick lately and I just ordered 1000 pcs of the Lucite flower beads, so I'll be up to my neck in these beads for a while. I will also host a few giveaways for jewelry and beads so please spread the word! 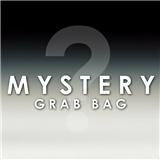 I just bought this cool mystery grab bag from Dew Drop Vintage on etsy. I can't wait to see what goodies I"m going to get! I promise to share. I get stumped when making jewelry and have to seek different avenues to get inspired. I LOVE earrings and I believe a girl can never ever have too many pair, besides earrings were the first thing that I created when I started making jewelry. So, I picked up a copy of the books pictured below and caught some inspiration and guidance. My etsy store needs to be stocked up for the Holidays, so the plan is to make 1.5 earrings a day until the end of the year. If my calculations are correct I actually will have 126 pair of earrings (I started yesterday). I always make more than one pair when I sit for a session. I usually do about 5 pair in an hour. 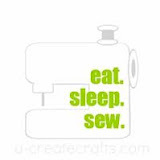 So, I should have more than enough inventory for the etsy shop, consignments and private jewelry parties. So here is to 90 pairs of earrings...starting with the pair published in this month's Bead Trends (Oct 2011). The earrings titled "Sunset Blooms" are on page 65. Please see below. Check out a video about this issue and meet Tatia Meyer, Editor of Bead Trends.